You know me by now...always trying to reinvent myself! 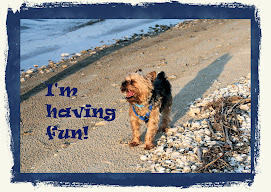 I've started another blog...Making Health Care Work available at www.makinghealthcarework.blogspot.com . When you go to the hospital, you need to know what is going to happen to you and also how to make health care work better for you. Starting with your own personal health behaviors...watching your weight (I'm working on that too! ), not smoking, getting some type of regular exercise such as walking or swimming, and eating a healthy diet..you may be able to head off many illnesses by being healthy and taking care of yourself. Staying out of the hospital is the best way to avoid hospital acquired infections and to protect yourself from accidental errors in care. Hospitals don't intend to do harm, but they are only as good as their weakest employee. With the increasing complexity of care needed and the increasing workloads placed on doctors, nurses and staff, it's no wonder that problems happen. Having worked in and with hospitals for over 40 years, I know that they are doing the best they can with shrinking reimbursements, fewer dollars, and increasing numbers of patients. So your tips for today...practice healthy habits, wash your hands lots, ask your healthcare providers if they have washed their hands, don't hesitate to ask questions of your doctor and staff, and, most importantly, do what your doctors tell you!! Take your prescribed medicines correctly and consider supplements and vitamins after discussing them with your doctor. A Wonderful Afternoon at the Track!